You know that feeling when you meet someone and you just click? Love at first sight might be rare, but friendship at first sight doesn't come along every day either, so when I met Johanna, I knew we were on to something huge. We started chatting within seconds of first laying eyes on one another that summer in 2007 when we both worked on a sun-drenched Tuscan beach resort, and we've been inseparable ever since, or in spirit at least - Johanna lives in Stockholm. Since meeting up only happens a few times a year, all time together is limited, cherished, treasured. It was past midnight on Friday night when Johanna arrived, but feeling tired was the last thing on any of our minds. Over a cup of tea and a slice of David's vegan chocolate and pear cake, we chatted away into the night. It felt like we'd never even been apart at all. The following day we took a long walk around our area - I'm always proud to show people around our little corner of London - still chatting like never before For the evening, we grabbed David headed out into the sparkling, twinkling bustle of Carnaby Street for a glass of wine and, you guessed it, some more chat, before a lovely dinner at home. 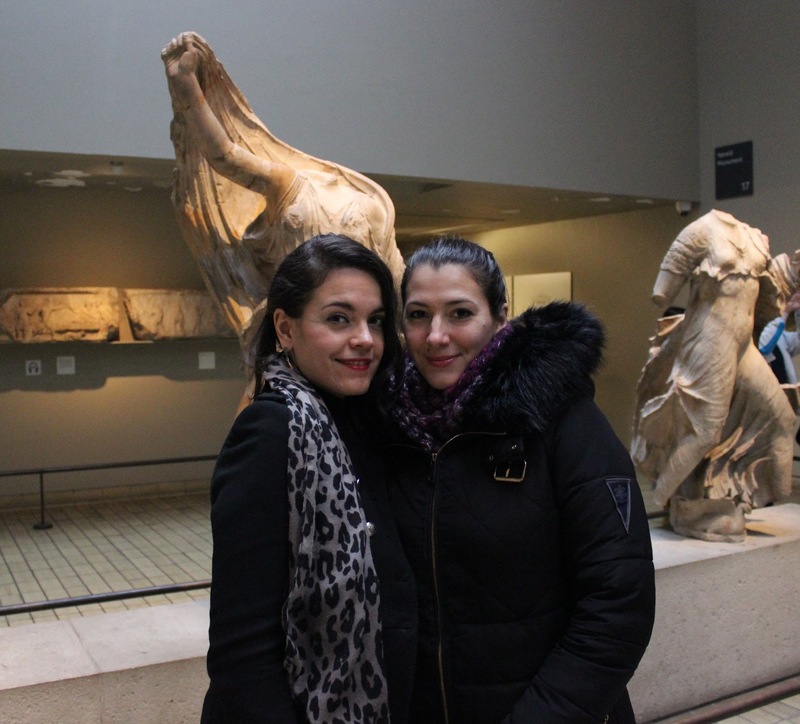 Sunday was gloomy and gray - which brought an occasion to visit the British museum and stare at some statues. Once we'd gotten our fill of culture, we headed off to Neal's Yard for a coffee. Even in cloudy weather, this technicolour bit of London is magical.